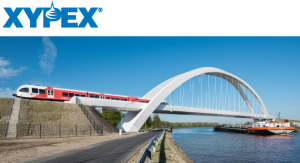 When a critical new railway bridge in the Netherlands needed fast and effective waterproofing and chemical protection for its concrete rail bed, the contractor chose Xypex Concentrate because expected wet weather threatened to delay the planned epoxy application. Since Xypex Concentrate requires a pre-saturated surface for optimal application, mist and rain are actually beneficial. 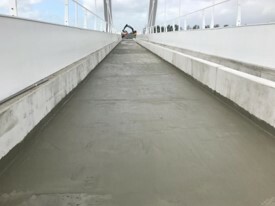 Xypex Concentrate not only offered the fastest possible application time—less than three days to coat 2,000 square meters—i t also enabled the contractor to more quickly install the railroad ties, gravel ballast, and steel rails and was significantly less expensive than an epoxy coating. 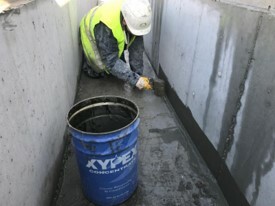 Although applied as a coating, Xypex Concentrate penetrates and becomes an integral part of the concrete substrate so there is no concern when drilling or attaching fasteners.